Register Log In ECN Forum Forums Photos for General Discussion Low Voltage: Is the NEC urealistic? To be fair, there were all manner of structural members in the way. As literally the last contractor in this remodel, I can see why no one wanted to tear the walls apart. Indeed, I found this when I used that very duct to get the access I needed to instal a required luminaire. I'm sure any HVAC guy would grit his teeth at the mess I made re-assembling the ductwork! So ... do we continue to cry about the LV guys being able to get away with this - or do we recognize that the NEC is pretty much irrelevant for them? You buy rags you get rags the old saying goes right. (not very professional to say the least). 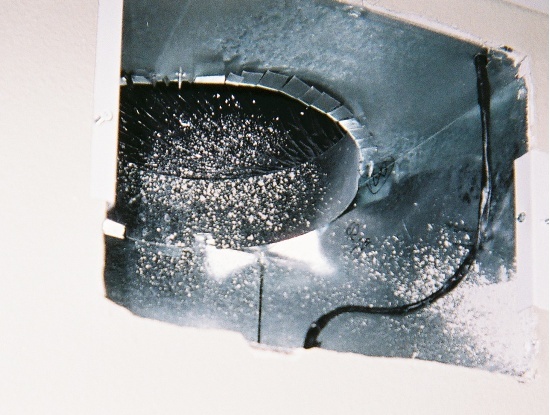 Even if I was willing to say the NEC doesn't apply to low voltage and that is certainly not true, there are fire codes and mechanical codes that deal with wiring in duct work. I doubt a foot of wire in that duct is really that big a hazard but I would still want to see it plenum rated, just for the precedent. If a foot is OK, how about 3 feet? 10 feet? 100 feet?